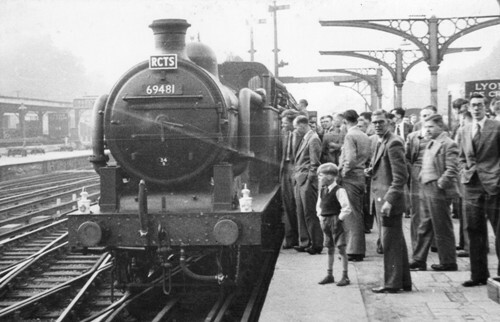 (1) Peter Darke has a photo in his collection showing 69441 at Marylebone so it appears this loco started the tour. 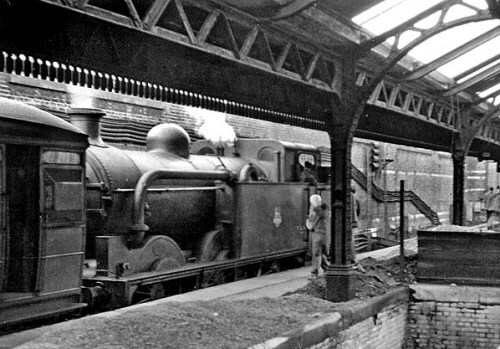 Order in which locos were used believed to have been: 69441, 69481, 40037 & 45277 although newly received photographic evidence (see below) suggests 69481 was the last used, back into Broad Street. Neasden Middle Jn 14/25 ? Acton Wells Jn 14/31 ? Acton Main Line 14.43a ~ 14.53d ? Greenford South Loop 15/05 ? Greenford East Loop 15/07 ? 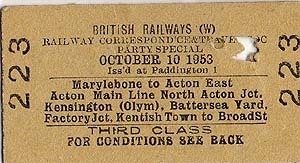 North Acton Jn 15.13a ~ 15.20d ? Kensington Olympia 15.31a ~ 15.41d 15.25 ~ ??.?? Stewarts Lane Jn 15/55 ? Battersea Yard 15.59a ~ 16.15d ? Stewarts Lane Jn 16/18 ? Factory Jn 16.23a ~ 16.27d ? Kentish Town 17.08a ~ 17.13d ? Junction Road Jn 17/17 ? Dalston East Jn 18/27 ?